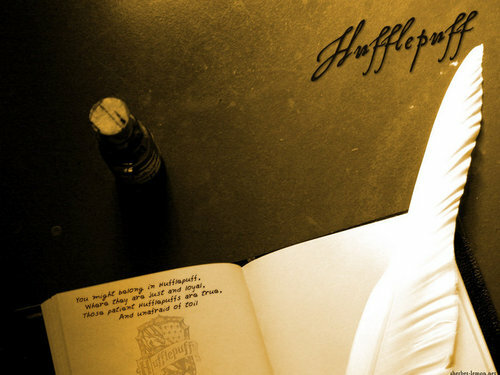 Hufflepuff. . HD Wallpaper and background images in the Hufflepuff club tagged: hufflepuff icon hogwarts house harry potter hogwarts badger. This Hufflepuff wallpaper might contain sign, poster, text, chalkboard, document, written document, papers, packing box, and packing case.